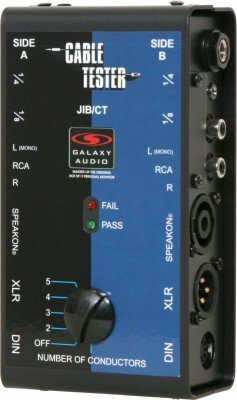 The CRICKET Polarity/Continuity tester is great for sound contractors, musicians, DJs, and many others. 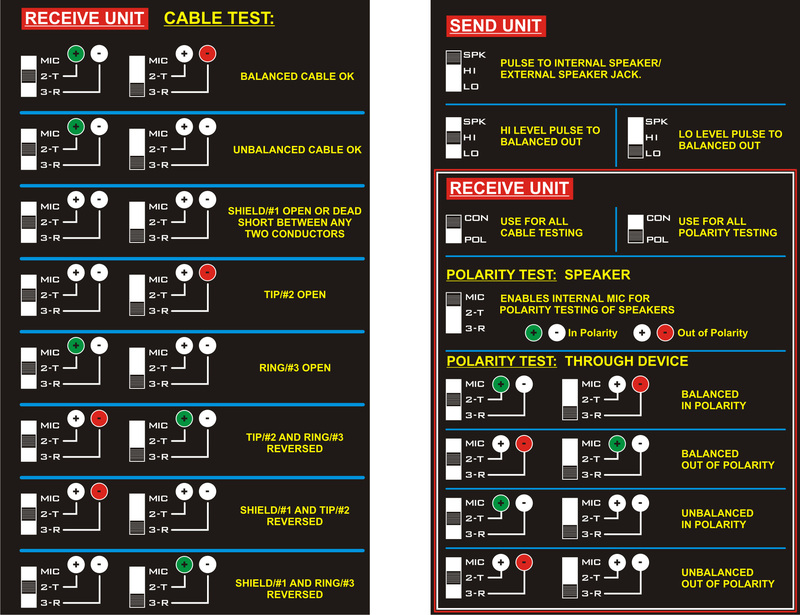 Polarity, should it become reversed, can play havoc with a sound system. If two sources are emitting the same electrical or acoustic tone (frequency), and one of those sources is in a state of inverted polarity, those tones, when combined at a given point, will cancel each other. This severely alters the sound of a system. 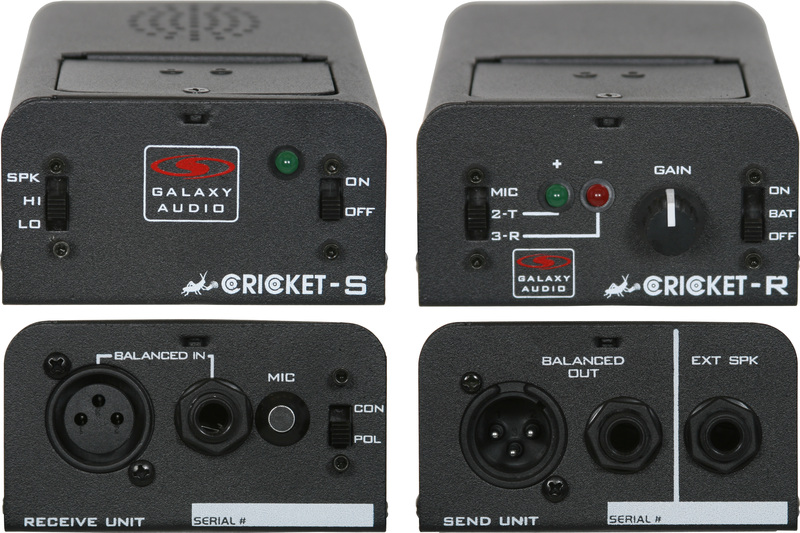 "The Galaxy Audio Cricket is a life saver- allowing simple or very complex systems to be checked for phase all along the signal path. 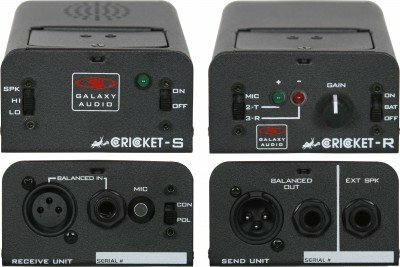 The Cricket has been in my toolkit for over 20 years and during that time has checked and helped me phase multiple amplifier stacks for Megadeth, White Zombie, Stephen Stills, Bon Jovi, E Street Band, Paul Simon and The Who. We have also used it to solve the "mysteries"of rental equipment and house PA's sometimes finding simple cabling faults which had remained undiscovered for years. When all your "stuff" works together, it works it's best." Green: indicates positive-going pulse polarity with power switch in “ON” position and battery status with power switch in “BAT” position. Red: indicates negative-going pulse polarity.